From the literal Latin translation “that which ties or binds together.” To us, this encapsulates the mission of CrossFit Nexus: to help people become the person they want to be – both physically and mentally. We opened our CrossFit gym because we see it as the best vehicle to develop this physical and mental strength; to see yourself in a new light through the struggle of one of our workouts. Nexus helps define our goals – to become a center of health, combining physical fitness, nutrition, and mental well-being. This core strength and conditioning program is the core of our services at CrossFit Nexus. 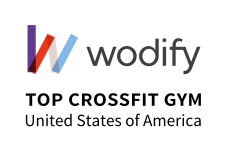 CrossFit is based upon constantly varied functional movement performed at relatively high intensity. Put simply, our goal is to make you better prepared for anything you might do outside the gym while simultaneously developing a high level of fitness. At Nexus, we place a special emphasis on sustainable, long-term health and fitness. This philosophy is introduced in our Foundations program, where we teach newcomers proper technique, develop consistency, and build intensity. Once in regular classes, our coaches lead each group through a dynamic warm-up, targeted mobility exercises, and stability work. From there, we lead into strength or skill development, then into our daily conditioning workout or metcon (short for metabolic conditioning). Become stronger, leaner, faster, and more confident in our supportive and challenging group classes.